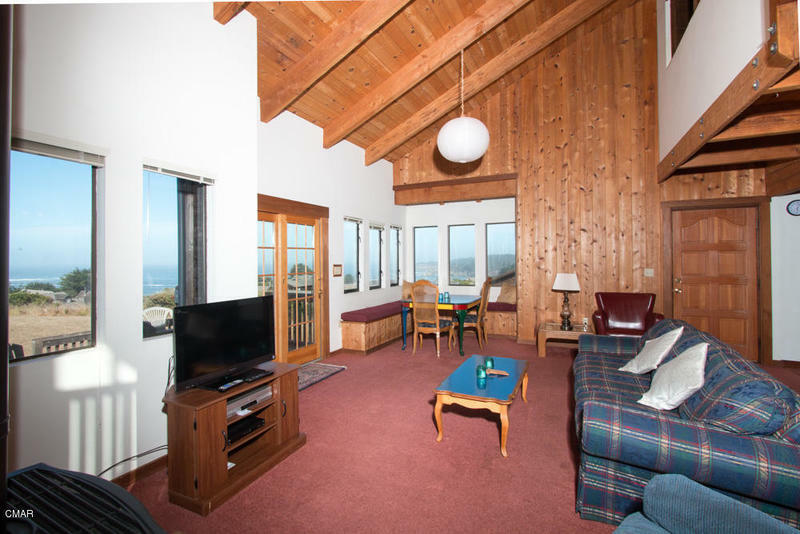 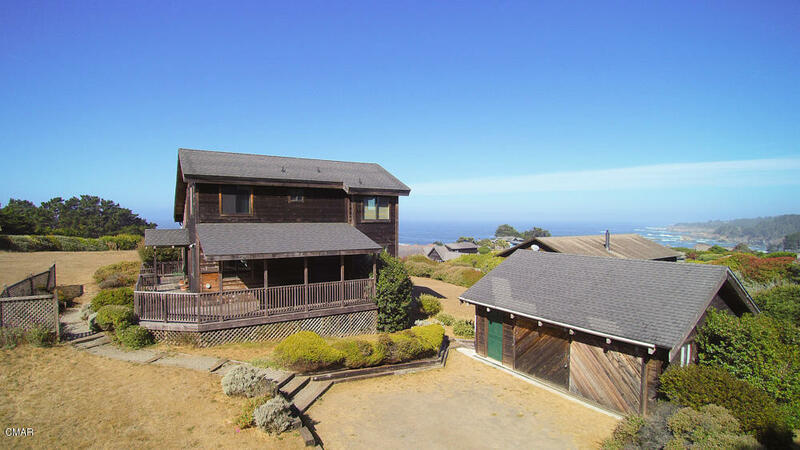 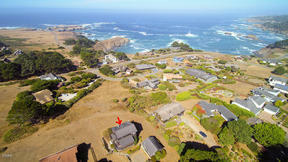 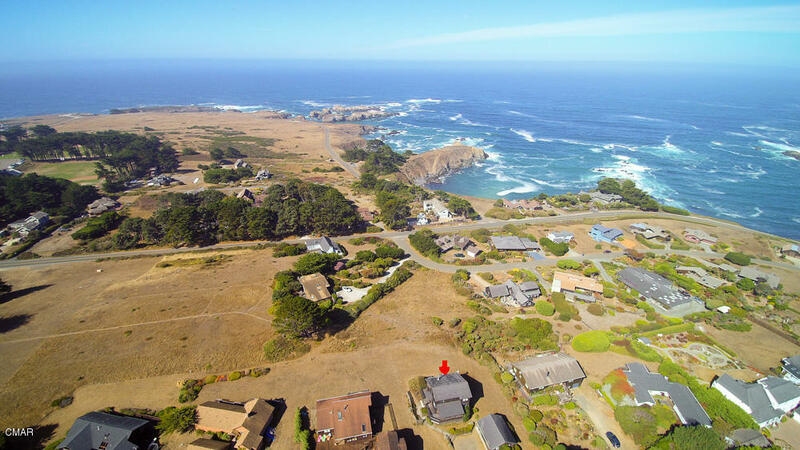 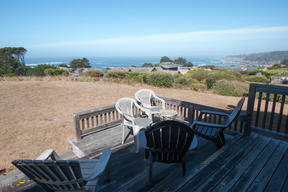 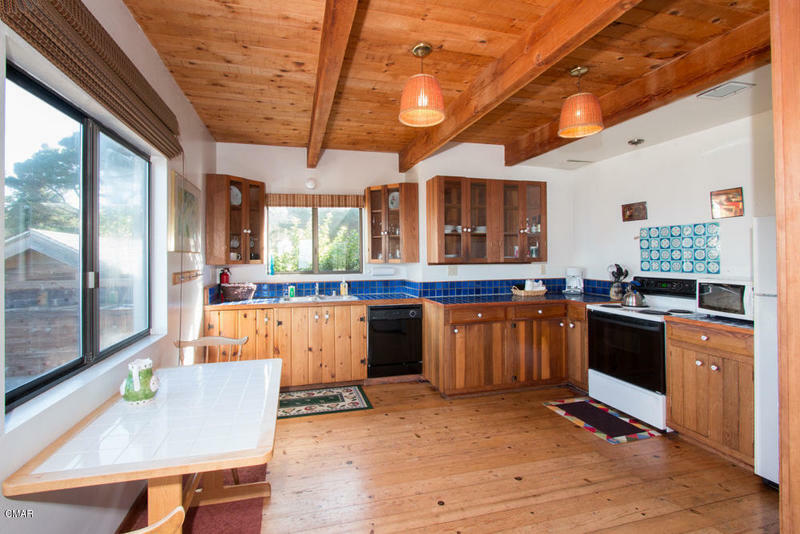 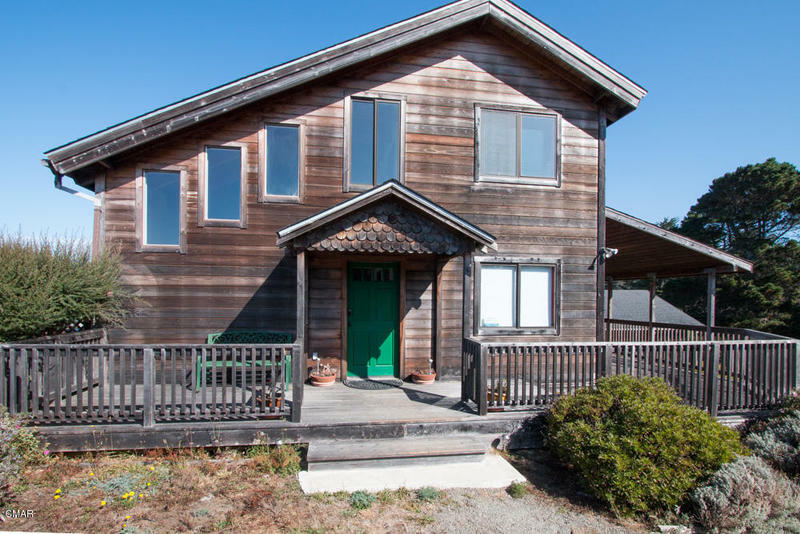 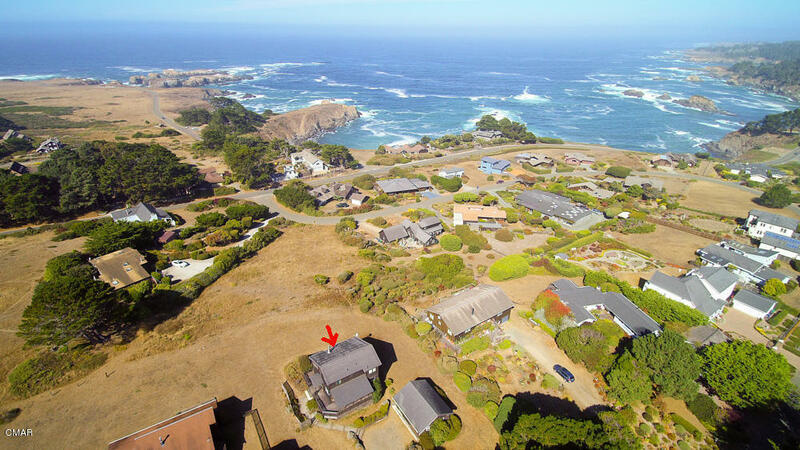 Take in the ocean view from this comfortable home which is ideally located only blocks from the quaint bluff top village of Mendocino, overlooking the Pacific. 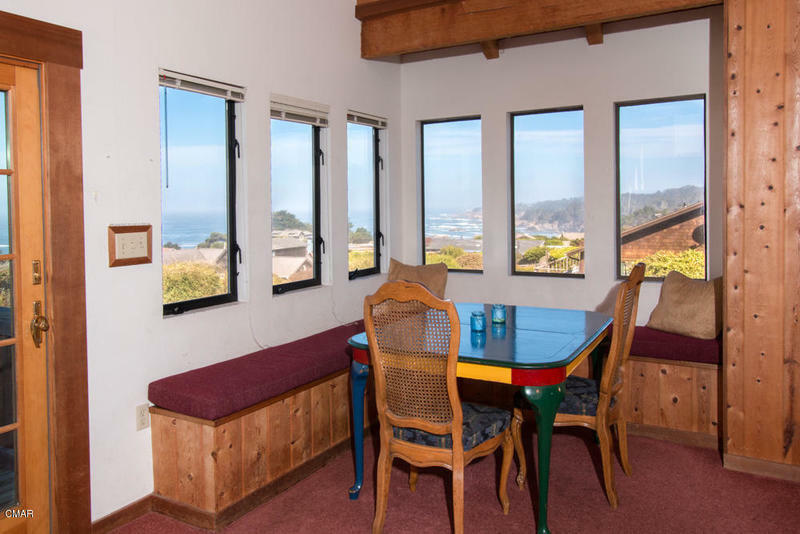 Inviting open floor plan with vaulted ceilings and expansive ocean views from most rooms. 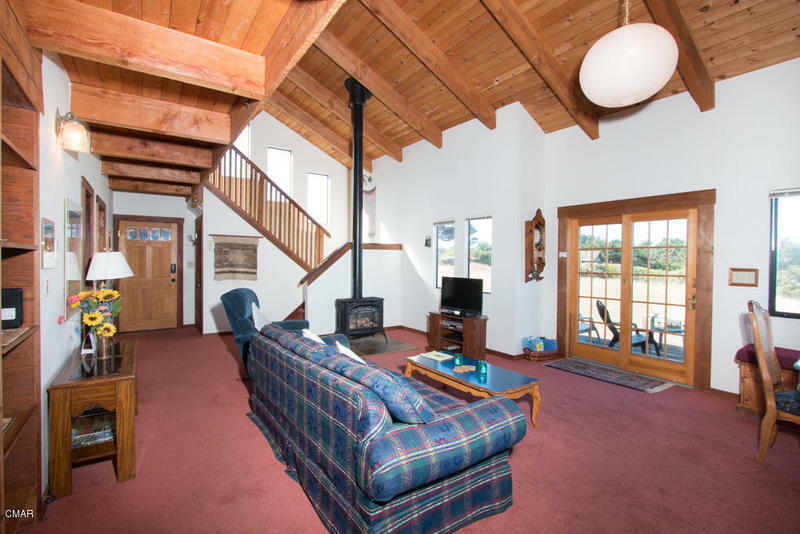 Other features include a claw foot tub and propane heating stove. 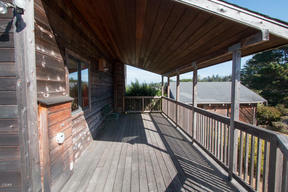 Enjoy whitewater views from the deck while soaking in the hot tub or lounging on the deck. 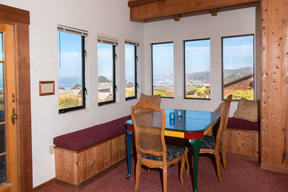 Walk to shops, restaurants or just to enjoy the spectacular Pacific views from the Headlands State Park trails.